Although the most well-known use of microphones is for music and audio recordings, they’re also used in many electronics applications such as smartphones and tablets, IoT devices (such as the Amazon Alexa), teleconferencing systems, video cameras, bluetooth headsets, and security and surveillance devices. As transducers, microphones convert sound waves into electrical signals. Since sound is a mechanical form of energy, it produces a series of vibrations that hit a diaphragm (either metal or plastic) which is located inside the microphone. When the diaphragm vibrates, the mechanical vibrations can then be converted into electrical signals. Microphones can be classified based on directivity and construction. In terms of directivity, they can be unidirectional (when microphone sensitivity is strongest in a particular direction), bi-directional (when it is strongly sensitive in two directions), or omni-directional (when it picks up sound equally in all directions). In terms of construction, there are condensers, dynamic, ribbon, piezoelectric, carbon and MEMS microphones. To get the highest quality sound while helping to control noise, it’s important to select the right microphone for your design. Designers should consider the sensitivity, frequency response, directionality, and noise handling of the device. The most popular microphones on SnapEDA are compact, low-power, low-noise and have low-current consumption (from 235uA to 1mA). The SNR (signal to noise ratio) varies from 60dB to 70dB (the higher SNR, the better specification, since there’s more information than noise). The InvenSense ultra-low noise microphones are compatible with Sn/Pb and Pb-Free solder processes, and depending on the product selected, have either analog or digital outputs. The Knowles microphones include characteristics such as RF immunity and excellent wideband audio performance, and in some cases, even support ultrasonic applications. 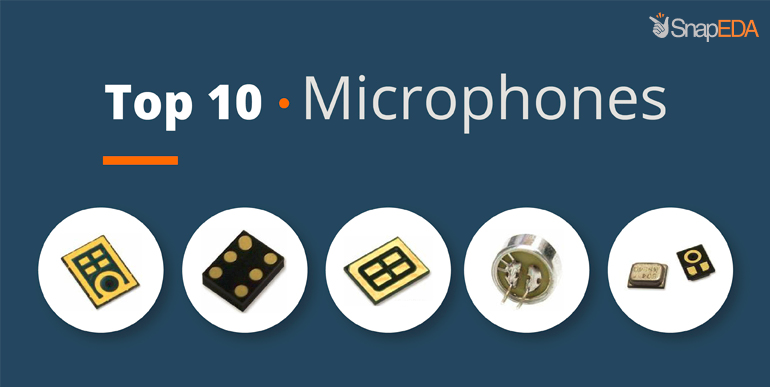 Let’s take a look at the top 10 Microphones on SnapEDA! Note: this data was collected via SnapEDA’s analytics by looking at downloads from its part model library (symbols, footprints, and 3D models). 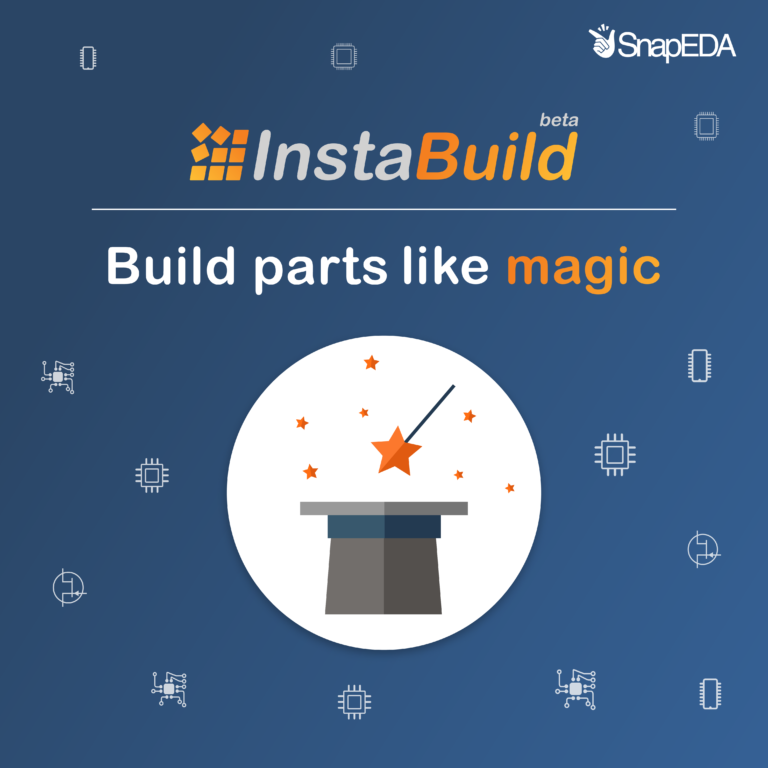 Millions of parts are evaluated on SnapEDA annually, however, if a part isn’t in our database it will not show up on this list. We’re continually increasing coverage and will update this list periodically! This electret condenser microphone is 60dB SNR, omnidirectional, supply voltage 3V – 10V, sensitivity -44dB ±2dB @ 94dB SPL, 0.5mA current consumption, available in package size ø9.7×4.5mm. 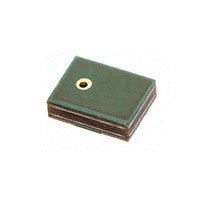 This MEMS microphone is 63dB SNR, omnidirectional, supply voltage 1.5V – 10V, sensitivity -38dB ±3dB @ 94dB SPL, 160µA operating supply current, available in a small 3.76×3.00×1.10mm surface-mount package. This electret condenser microphone is 60dB SNR, omnidirectional, supply voltage 1.5V – 10V, sensitivity -38dB ±3dB @ 94dB SPL, 0.5mA current consumption, available in package size ø9.7×6.7mm. 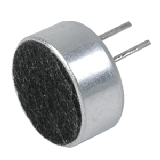 This MEMS microphone is 61dB SNR, omnidirectional, supply voltage 1.64V – 3.6V, sensitivity -26dB ±3dB @ 94dB SPL, 0.65mA current consumption, available in an SMD compliant metal 4.72×3.76×1.25mm package. This MEMS microphone is 65dB SNR, omnidirectional, supply voltage 1.62V – 3.6V, sensitivity -26dB ±3dB @ 94dB SPL, 600uA operating supply current, available in SPH 3.50×2.65×0.98mm package. 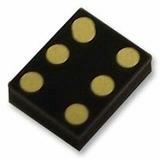 This MEMS microphone is 65dB SNR, omnidirectional, supply voltage 1.5V – 3.6V, sensitivity -38dB ±1dB @ 94dB SPL, 132uA operating supply current, available in a small 3.50×2.65×1mm surface-mount package. 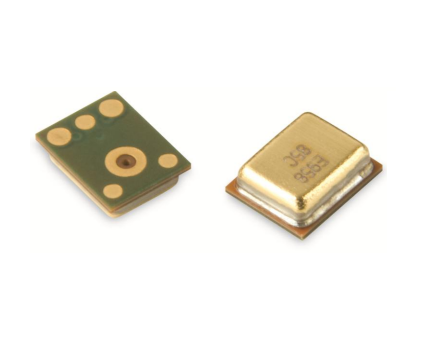 This MEMS microphone is 65dB SNR, omnidirectional, supply voltage 1.62V – 3.6V, sensitivity -26dB ±1dB @ 94dB SPL, 1mA current consumption, available in a small 4×3x1mm surface-mount package. 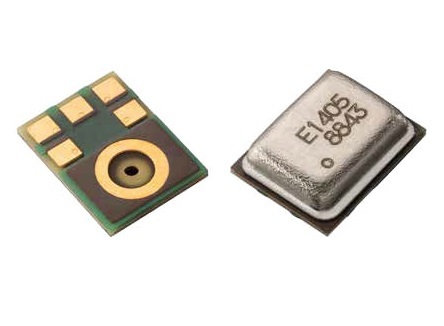 This MEMS microphone is 64dB SNR, omnidirectional, supply voltage 1.62V – 3.6V, sensitivity -26dB ±1dB @ 94dB SPL, 235µA current consumption, available in a small 3.50×2.65×0.98mm surface-mount package. This MEMS microphone is 64dB SNR, omnidirectional, supply voltage 1.6V – 3.6V, sensitivity -38dB ±3dB @ 94dB SPL, 220µA current consumption, available in a package compliant with reflow soldering. This MEMS microphone is 70dB SNR, omnidirectional, supply voltage 1.5V – 3.63V, sensitivy -38dB ±2dB @ 94dB SPL, 285µA current consumption, available in a small 4.00×3.00×1.20mm surface-mount package.